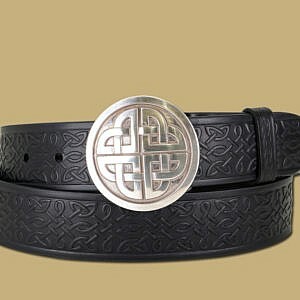 Embossed jeans belt with an ‘old silver’ set of hardware sporting an eternal knot shield on the keeper. 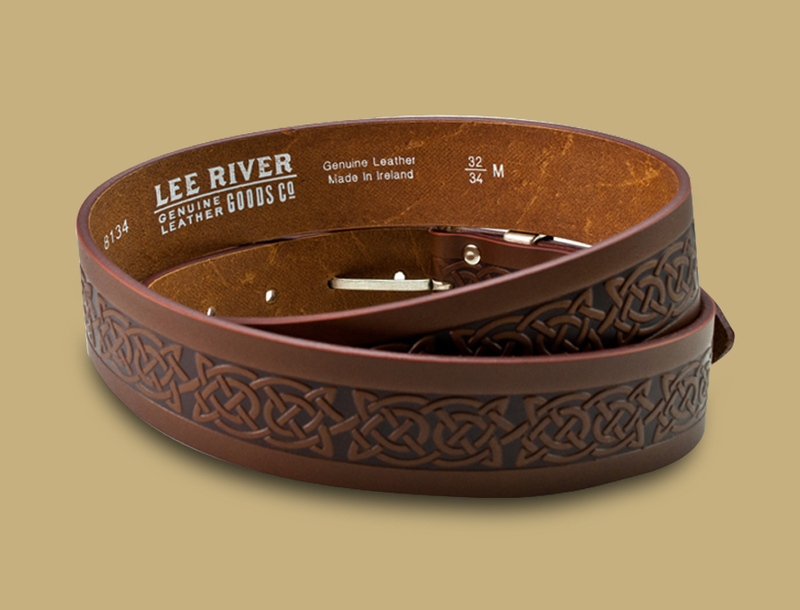 Classic Irish style. 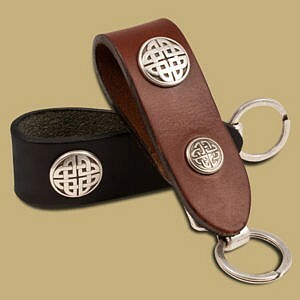 Designed and hand made here in Ireland.